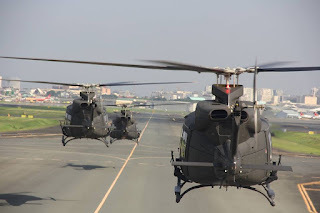 MANILA, -- The Philippine Air Force (PAF) announced that it has allocated the sum of PHP3,692,000 for the acquisition of spare parts and services needed for the repairs of one of its Bell-412 twin-engine utility helicopter. Pre-bid conference is scheduled on Wednesday, 9:00 a.m. at the PAF Procurement Center Conference Room, Villamor Air Base, Pasay City. While submission and opening of bids is on Aug. 30, 9:00 a.m. at the same venue. The Bell-412 is a twin-engine utility helicopter of the Huey family manufactured by Bell Helicopter. It is a development of the Bell 212, with the major difference being the composite four-blade main rotor. The PAF has around 10 units of these aircraft in its fleet. 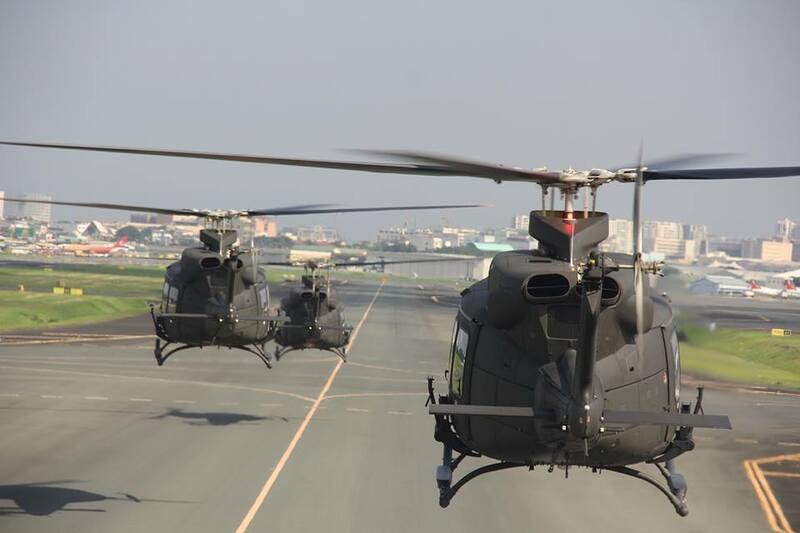 The Philippine Air Force Bell 412EP helicopters enroute to Villamor Air Base.